Founded by Jacques Hebert, Mont Saint-Sauveur International Inc. (MSSI) built a small empire of ski areas, combining for over 1 million skier visits per season. MSSI and its affiliates owed Jay Peak for thirty years. MSSI dates back to 1970, when young entrepreneur Jacques Hebert began to address the fragmented nature of skiing in Saint-Sauveur, Quebec. Assembling a group of investors, Mont Saint Sauveur was acquired in 1972. Night skiing was added in 1976.
from Weyerhaeuser Co. in 1978. In October 1983, Saint Sauveur Valley Resorts Inc. was registered as a corporation in the State of Vermont. 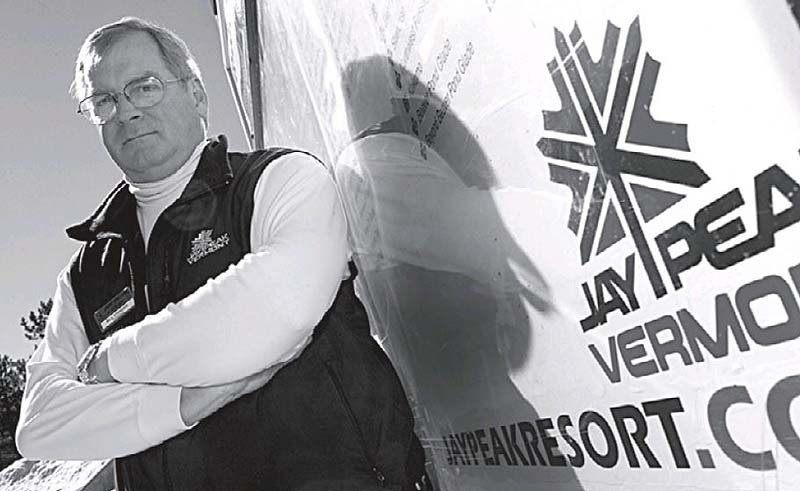 In 1985, Mont Saint Sauveur owner Jacques Hebert recruited Jack Frost General Manager Bill Stenger Biography to run Jay Peak. In 1986, a water park was opened at Mont Saint Sauveur, thereby diversifying the company. Also that year, MSSI reportedly leveraged the Quebec Stock Savings Plan by going public. Mont Saint-Sauveur International Inc. was registered as a corporation in Canada on September 12, 1986. Circa the 1987-88 season, Mont Saint Sauver may have been connected to Mont Avila. MSSI reportedly purchased the area in 1988 or 1989, kicking off its buying spree of Laurentian ski areas. MSSI acquired its third Canadian area in June 1992, when it purchased Ski Morin Heights out of bankruptcy for a reported $3.9 million. In 1993, MSSI and S-K-I Ltd. looked into partnering together to purchase Mont-Sainte-Anne in Quebec. S-K-I reportedly backed out of the deal over government related concerns. MSSI added nearby Mont Olympia and Ski Mont Gabriel for the 1994-95 season, with the acquisition possibly being completed in 1995. A 1995-96 season pass was offered to all of MSSI's areas, as well as La Plagne in France, for $695 US. In September 1996, MSSI announced its intention to sell Jay Peak, stating a lack of capital for needed investments. In November 1997, MSSI announced it had entered into an agreement to sell the ski area to Lifestyle Resorts International of Ontario, with Stenger remaining the resort's President. The deal fell through in January 1998 due to financing issues. MSSI announced its acquisition of Edelweiss Valley in Quebec in February 1999, giving it an area only half an hour from Ottawa. At this point, MSSI owned 7 ski areas. The Hebert, Dufour, and Casavant families reportedly returned the company to private ownership with a buyout in April 2005. MSSI's principle shareholder Jacques Hebert passed away on March 17, 2006 at the age of 69, resulting in even more pressure to sell Jay Peak. In December 2006, the $17.5 million Jay Peak Hotel Suites EB-5 project was launched. Under the EB-5 program, a foreigner can invest $1 million in an approved United States business (which must then create jobs), in exchange for a green card. With the Northeast Kingdom labeled a Targeted Employment Area, the minimum investment is cut in half to $500,000, making participating rural businesses such as Jay Peak more attractive. On April 13, 2016, the Securities and Exchange Commission took over Jay Peak, amid accusations that owners Ariel Quiros and Bill Stenger ran a Ponzi-like scheme that defrauded EB-5 investors. According to the complaint, some $200 million of EB-5 funding was misused. In the lead up to the raid, MSSI's President Louis Hebert and CEO Louis Dufour issued a declaration to the SEC under penalty of perjury with their understanding of the Jay Peak sale. On October 19, 2016, the company announced it would be changing its name from MSSI to Les Sommets, with the aim to better market the regional areas now that the company no longer had United States holdings. In April 2017, two Jay Peak EB-5 investors filed suit against MSSI/Saint-Sauveur Valley Resorts, Inc., claiming the company aided and abetted fraud. Government appointed receiver Michael Goldberg subsequently joined the suit as lead plaintiff.